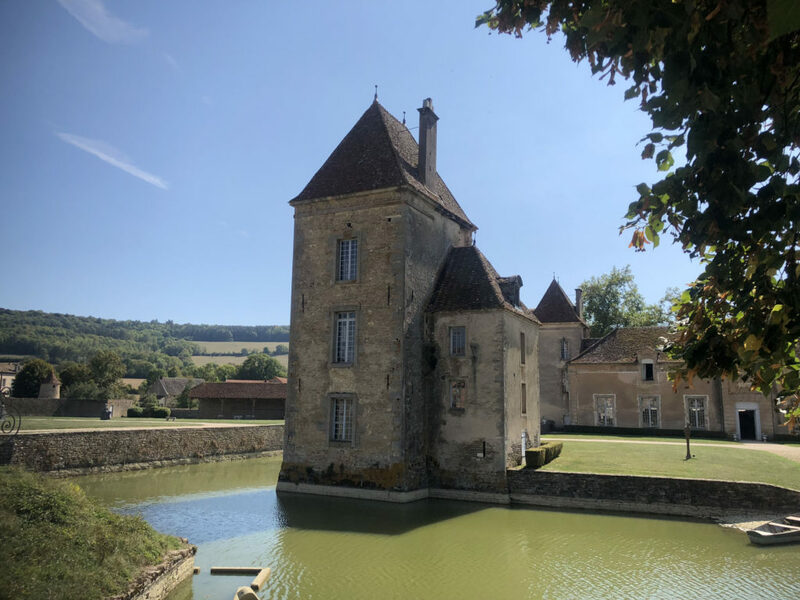 South of Paris , 1.5 -3 hours, discover the legendary Burgundy valley, home to the fine wines of Bourgogne, fascinating French history, amazing architecture of centuries past and beautiful pastoral countryside. 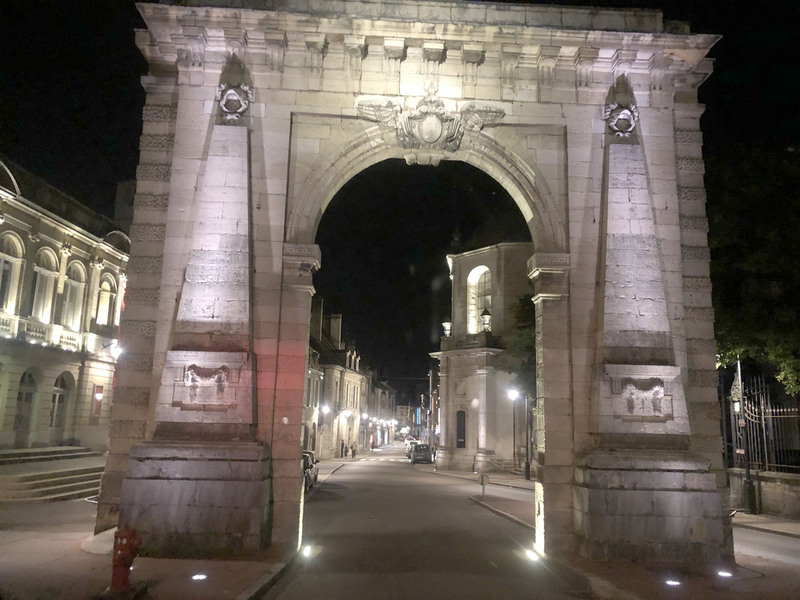 The “Route de Grand Cru” (translation: road to the best wines according to these proud French vintners) is in Burgundy from Auxerre to Dijon to Beaune – all amazing destinations. 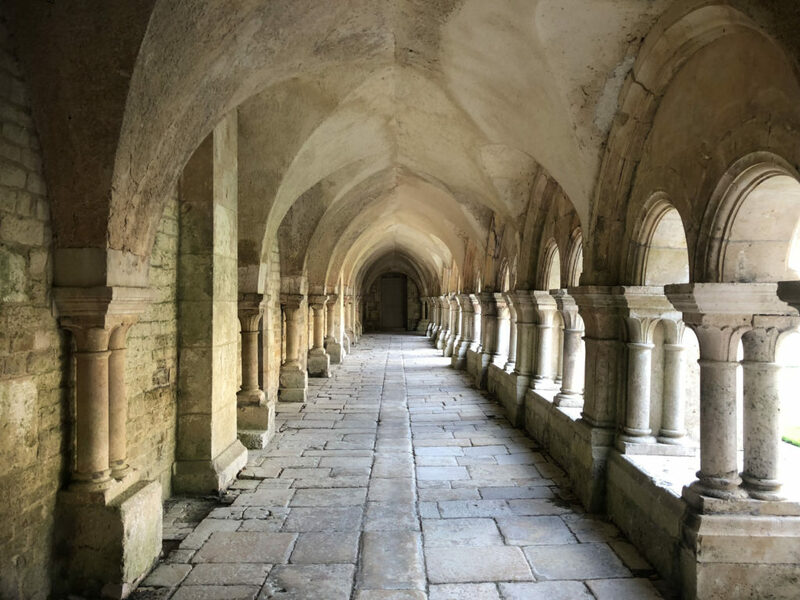 Here you are immersed in historic architecture, time-honored cuisine and classic wine-making. 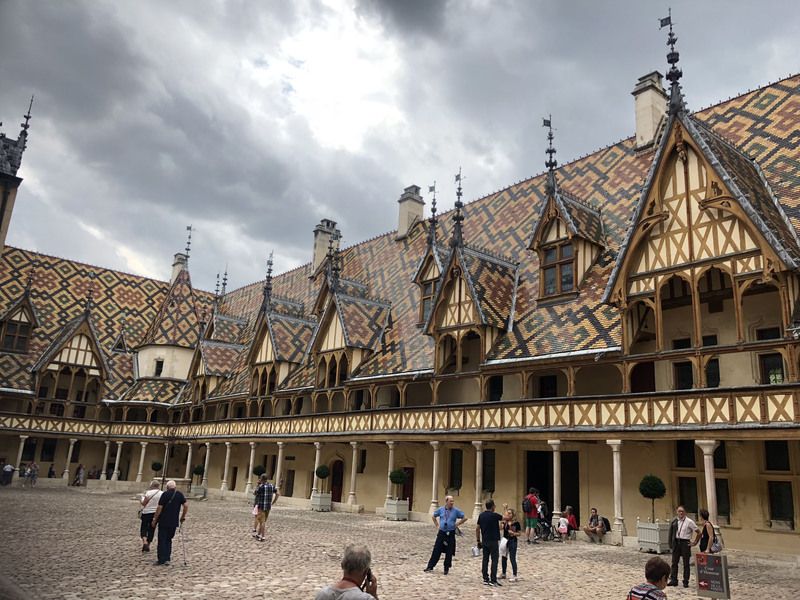 We enjoyed the happening towns of Dijon and Beaune, and charming medieval villages like Auxerre, Clamecy and Noyers-sur-Serein. 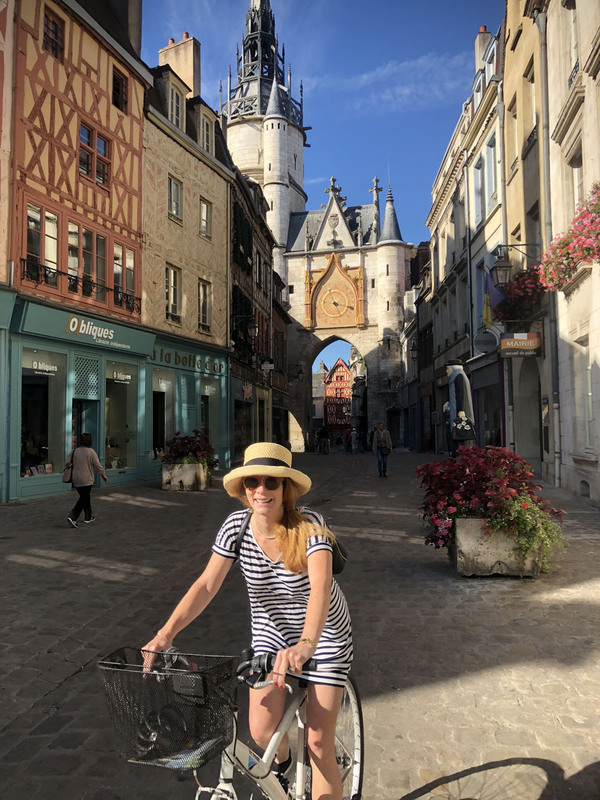 These villages are lined with cobblestone streets leading to grand churches, pretty little cafés and pastry shops, classic restaurants, and bucolic boutiques selling locally made wares and tasty treats. Burgundy, Bourgogne in French, is truly magical for its unchanged countryside. Seemingly endless farmlands and rolling fields stretch across the landscape, with neatly pruned vines striping the hillsides. 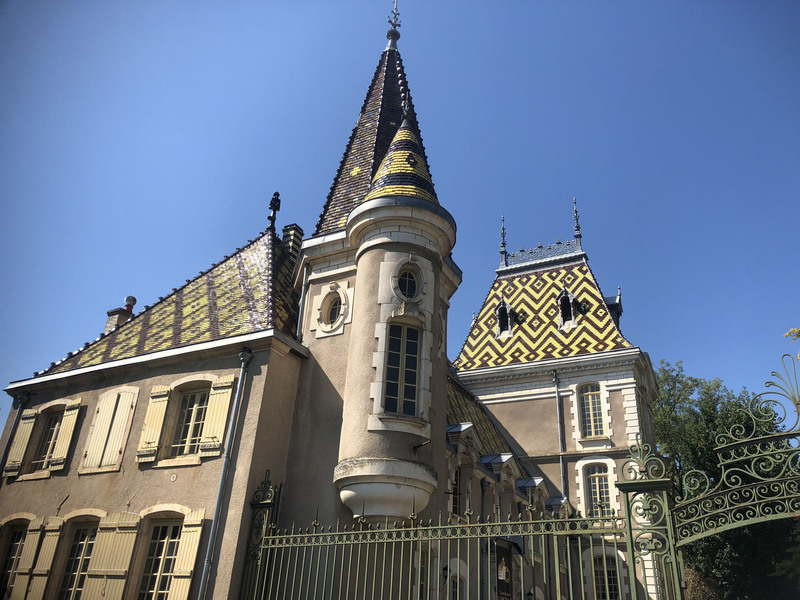 This is where the true French tradition is cultivated, where they source their own produce, meat and cheese, and grow their grapes to make Burgundy-exclusive Pinot Noir and Chardonnay. 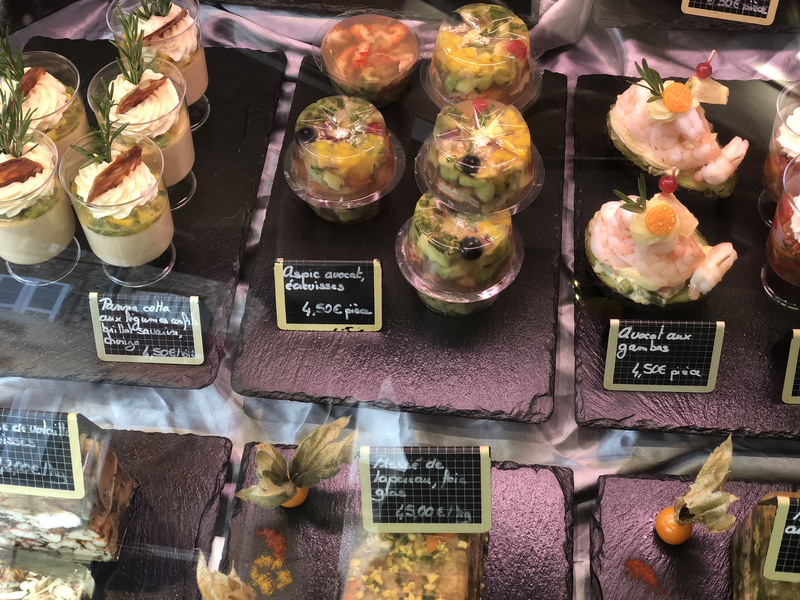 Here you taste France’s celebrated wines and cheese from the source, croissants and baguettes made fresh daily at provincial pâtisseries or boulangeries. Did you know in order to bear the name “Boulangerie” in France, everything must be made and baked in house? 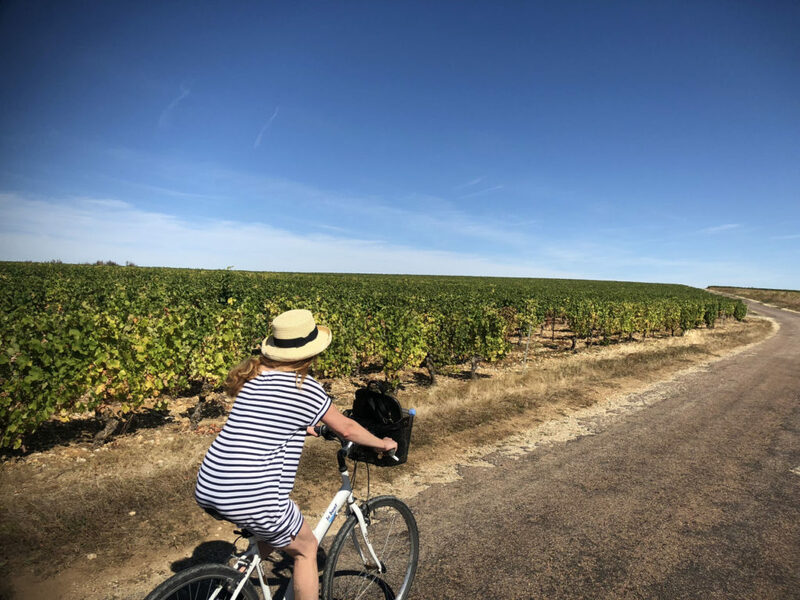 The best way to visit Burgundy is to stay a few nights in each town, traveling by car, by bike on their network of bike paths, or by boat in the expansive Canal system. This valley is a step back in time, where things are done as they have been for decades. 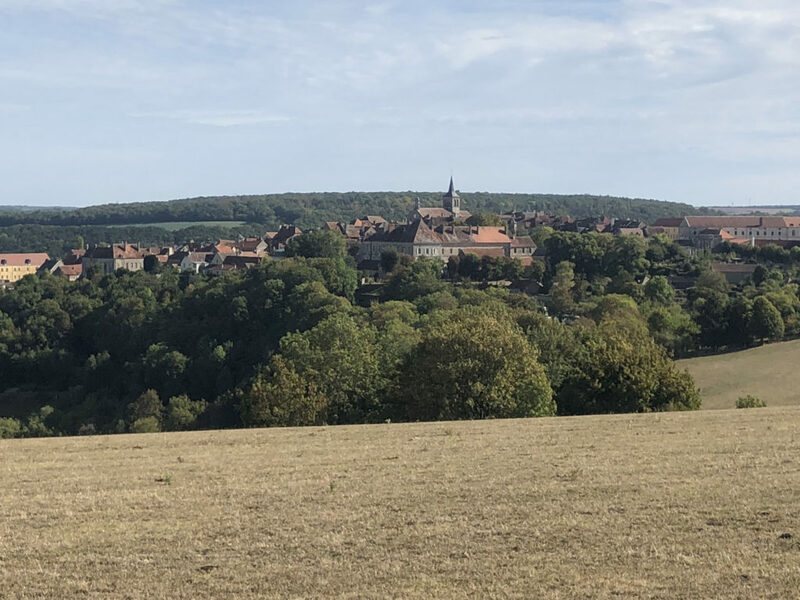 Its not about speed or fashion in Burgundy, it’s a culture of slow-food, of quiet steadfast commitment to the earth and traditions. 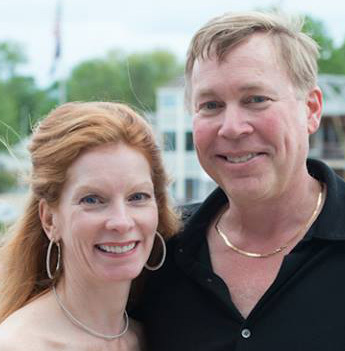 Time stops for long lunch breaks, holidays, and harvest, and Sundays. The people are proud, happy, humble, just hard-working enough. 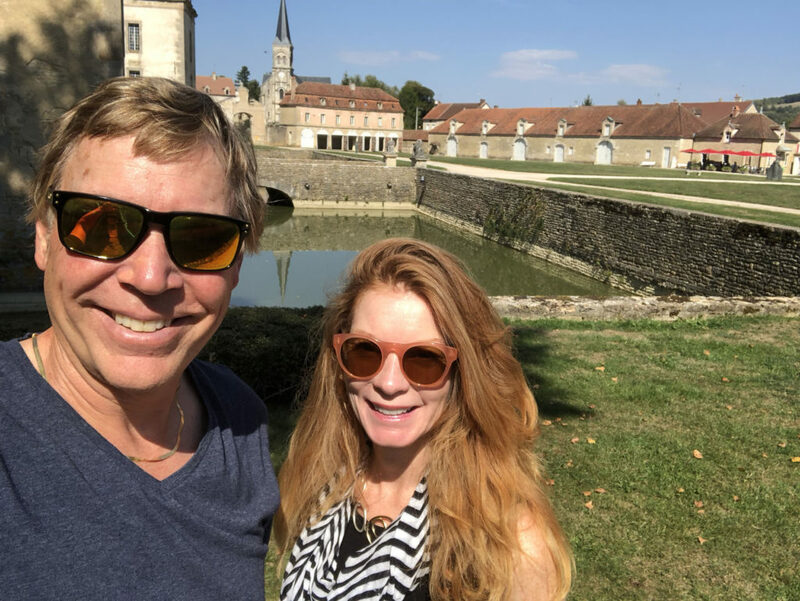 Our Burgundy adventure started in Paris heading toward Beaune, 3 hours south east of Paris, with plans to also tour Auxerre and Dijon. 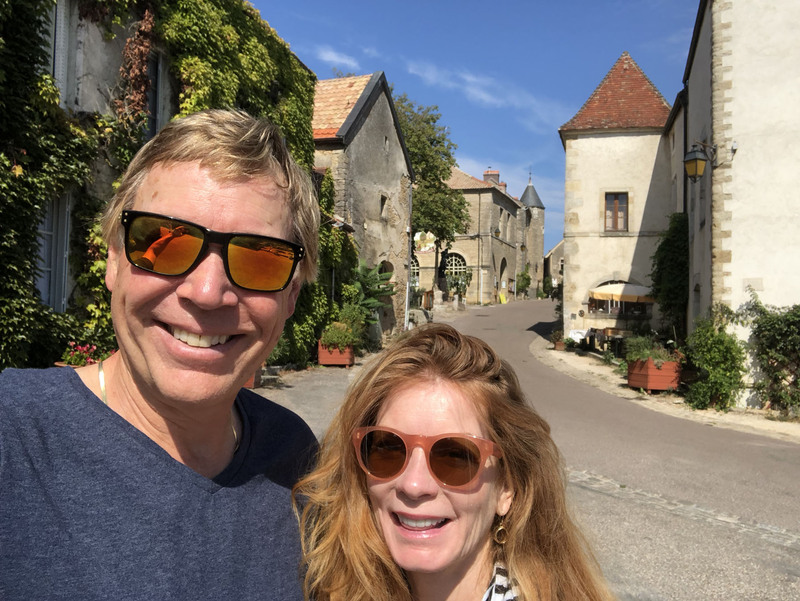 On our way to Beaune, the landscape was beautiful farm countryside and vineyards, dotted with castles and churches and cows. 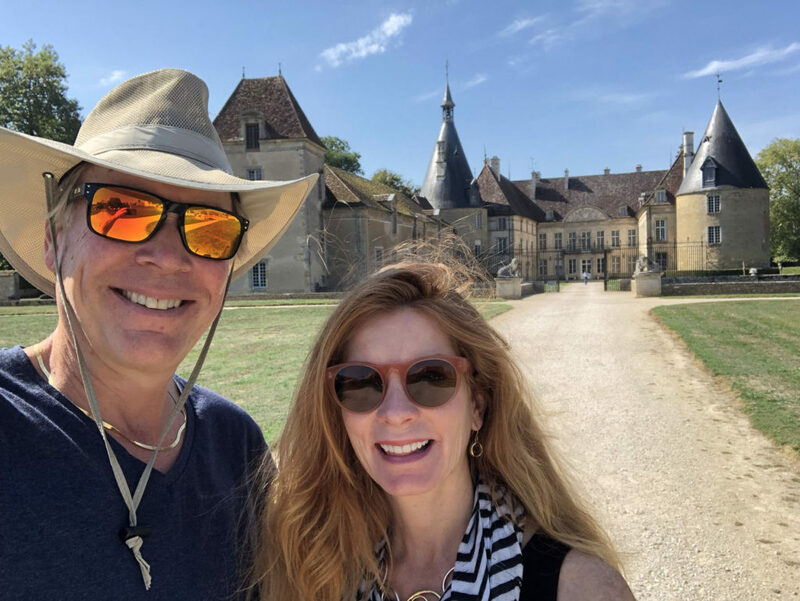 We stopped at these chateaux and wineries on the way. 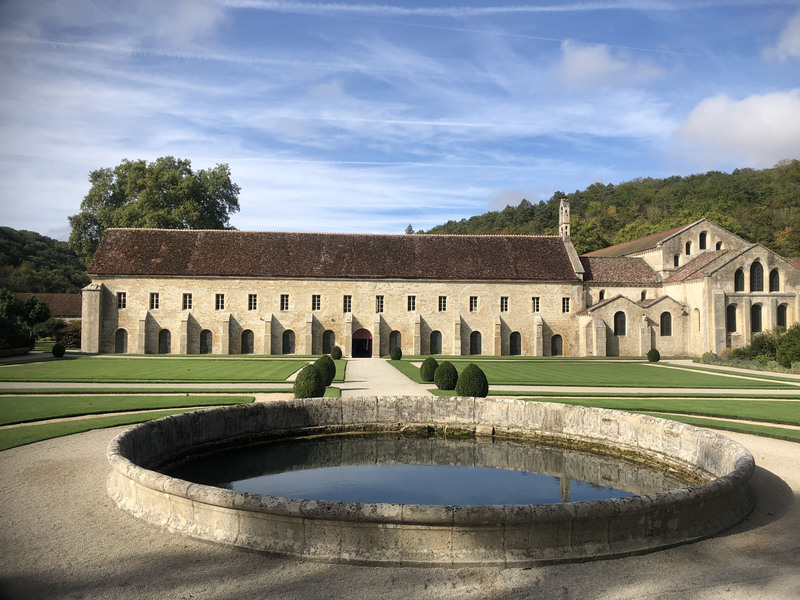 Château Commarin is a splendid first stop on your Burgundy tour in route to Dijon or Beaune. 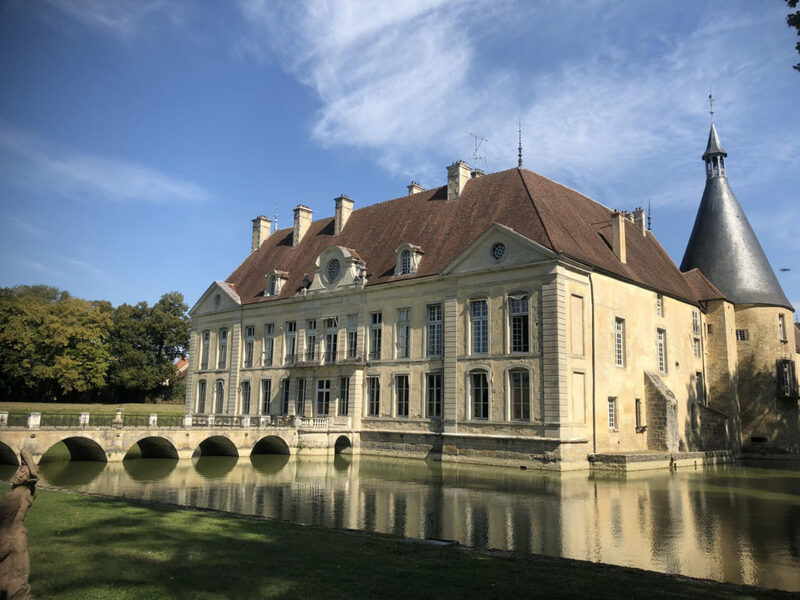 This 16th century castle has expansive grounds and a massive moat protecting the stately mansion. The Commarin Castle itself has four unique facades, from each era, 16th century to 19th representing the changes of one family through 26 generations in this house of Vogüé. 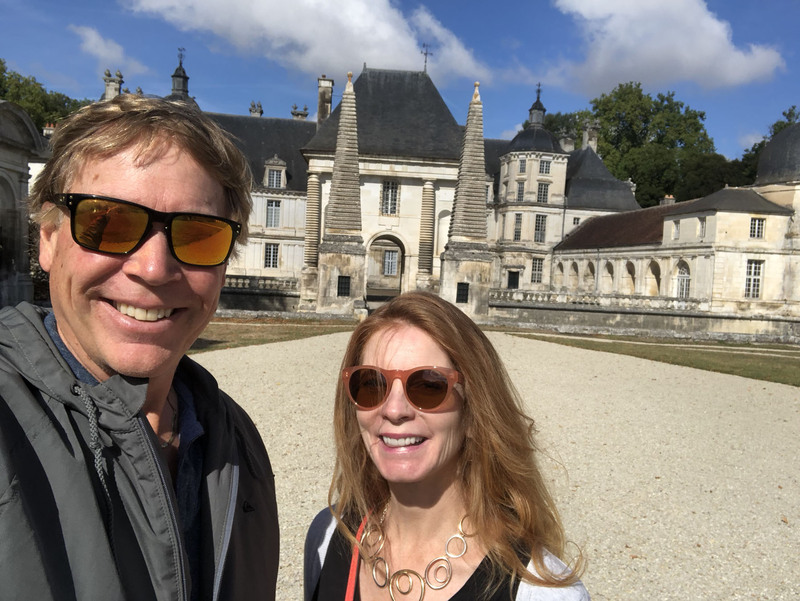 The Chateau’s surrounding lagoon is filled with big carp fish. Don’t miss the pig den, these hogs are local celebrities. 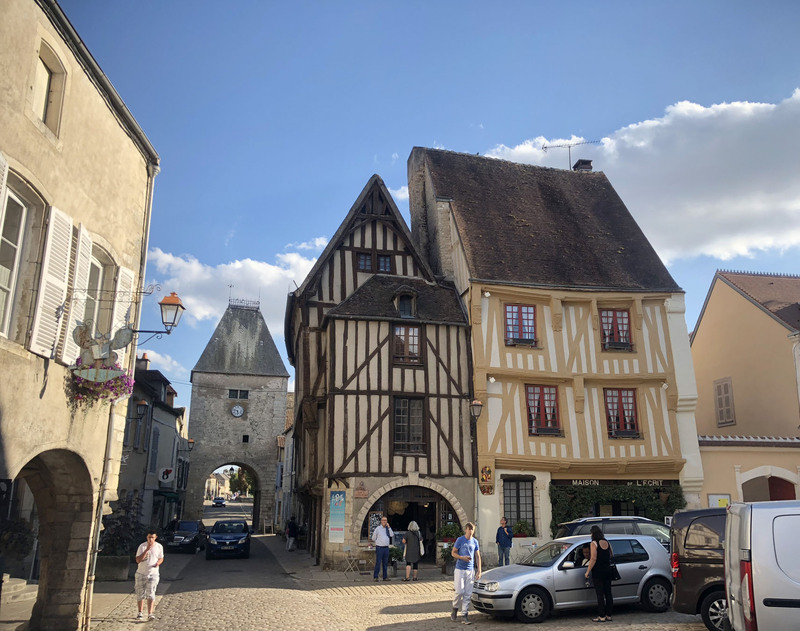 Châteauneuf-en- Auxois is the next stop following the road of the Dukes of Burgundy, to this remarkably quaint quiet stone village on a panoramic hilltop. 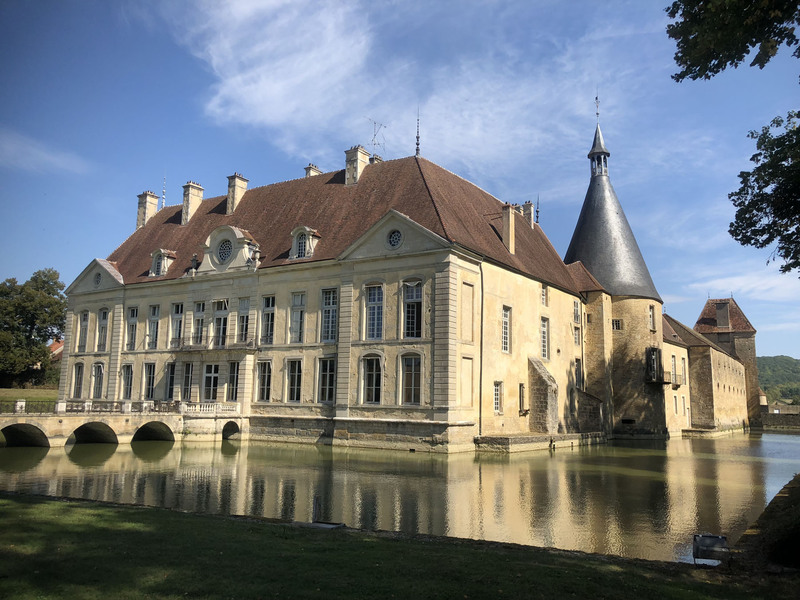 Lunch in a café here, then Tour the castle – Château de Châteaunuef when it opens after the traditional French après-midi closing 12:30-2pm. Time for wine, Château de Corton-André in Aloxe Corton near Beaune is a magnificent castle with a brightly tiled polychromatic roof, sweeping grounds, and an amazing cellar. 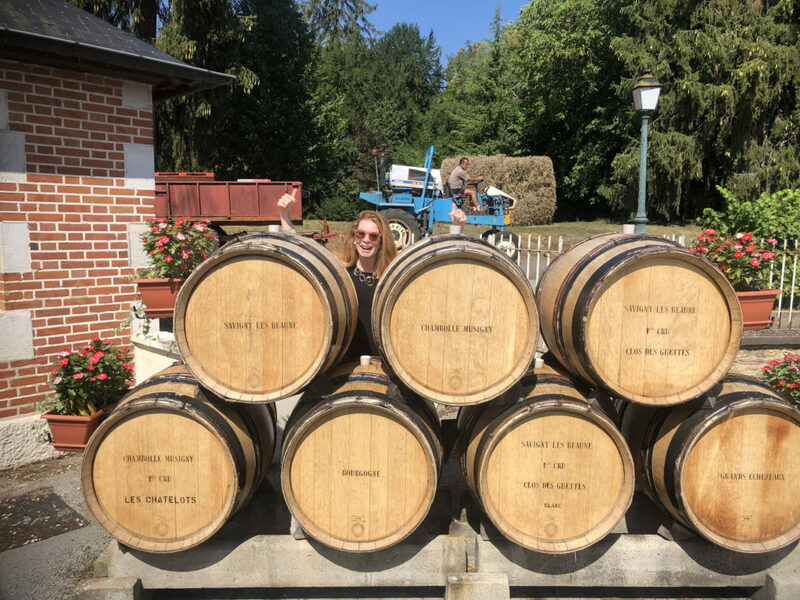 Enjoy your tasting at Château de Corton (hopefully with Louisa) of Chardonnay and Pinot Noir (the two grapes responsible for all Burgundy wines) served with delicious gougère – pastry with Gruyere cheese, while you learn about the tradition and designation of Burgundy wines. 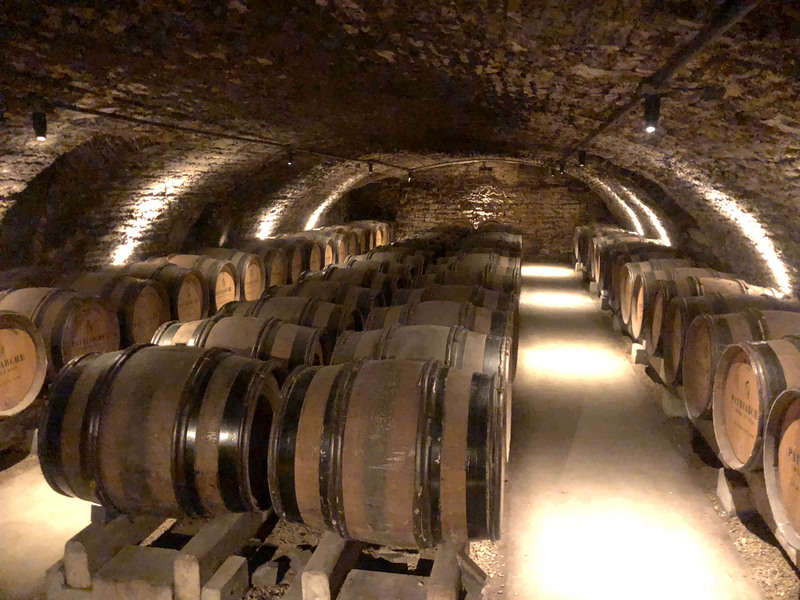 While in Aloxe Corton, pop in any of the other 8 wine rooms in this enchanting village, before heading to Beaune just 10 minutes away. 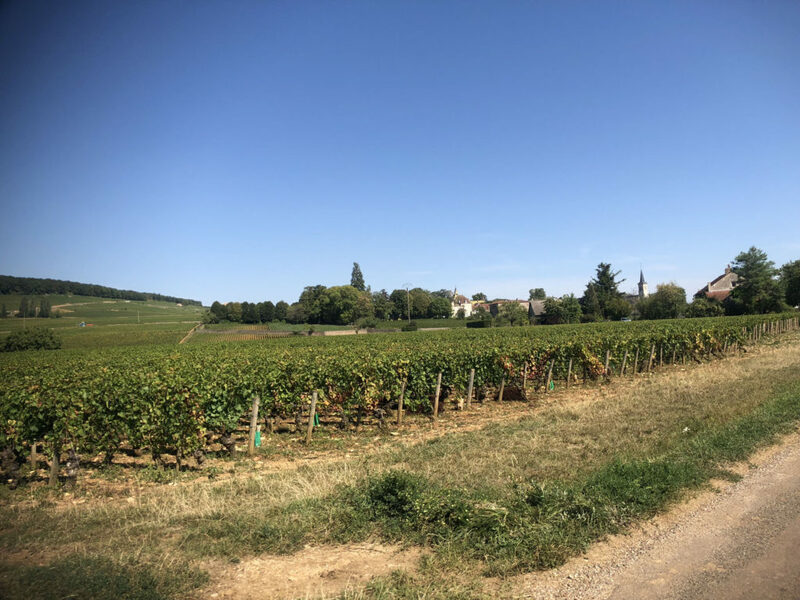 Grand Cru, Premier Cru, Regional and Villages. 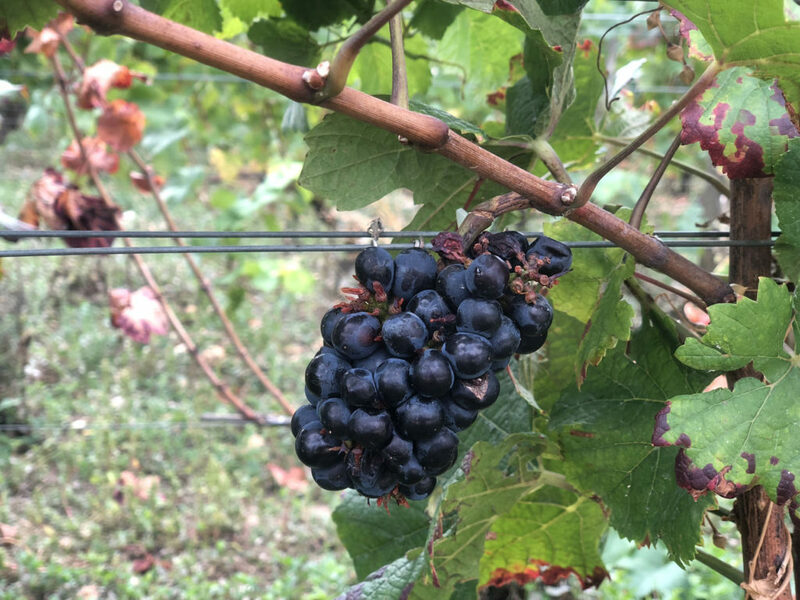 Grand Cru, the best, accounts for about 2% of the wine region. 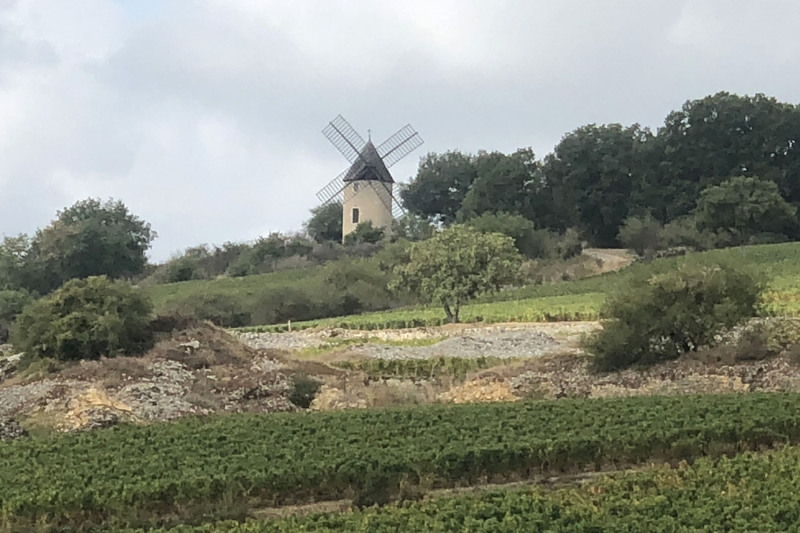 What’s fascinating is these French vintners don’t re-evaluate these wine ratings, nor do they rotate their soil, irrigate or fertilize, and the archaic #1-4 wine distinction is based solely on geography, as it has been since the 1700’s. 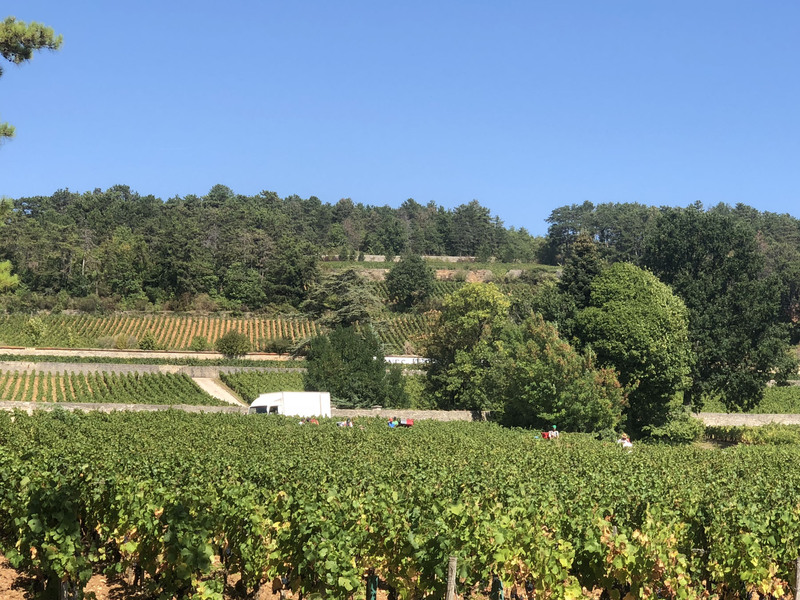 For our palate, France has been surpassed by other countries in wine innovation, but there is something captivating about the French pride in their wines, their grape gospel. 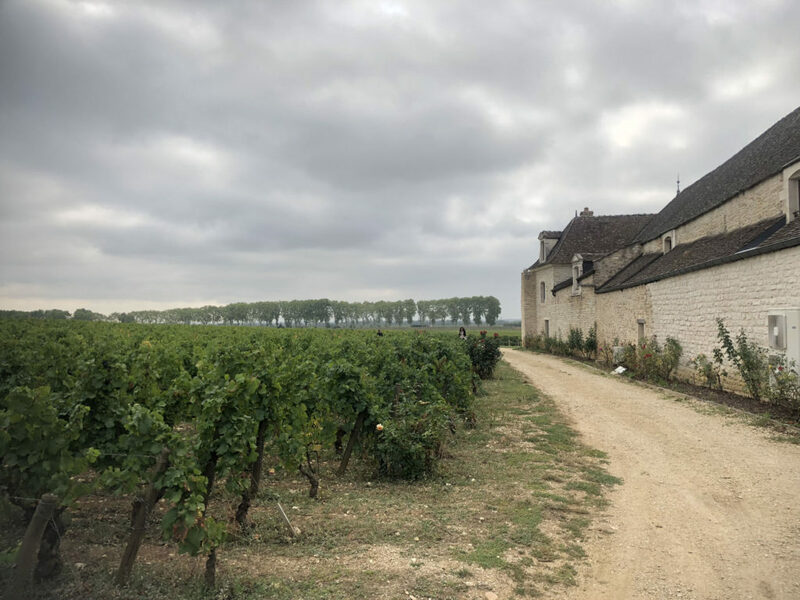 Their unyielding style of wines in Burgundy is a narrative of the French history, rooted to their customs, language, and architecture, like the old vines cling to the weathered limestone-studded soil – per tradition. 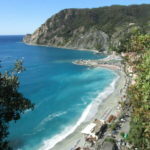 The wine has a mineral, earthy taste, some speak of the salty essence dating to when this land was covered by the sea. Still Burgundy wines are world famous, considered an honor and a staple in wine enthusiasts cellars. 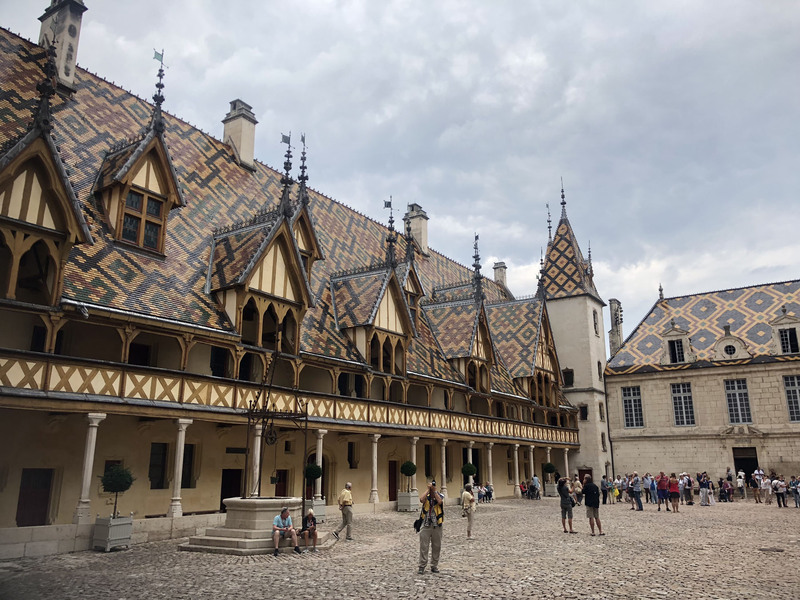 More on Beaune… and nearby Dijon and the medieval city of Auxerre, and the fairytale town of Noyers which inspired scenes for “Beauty and the Beast” with its leaning timber frame homes and quaintness of just 700 proud citizens. 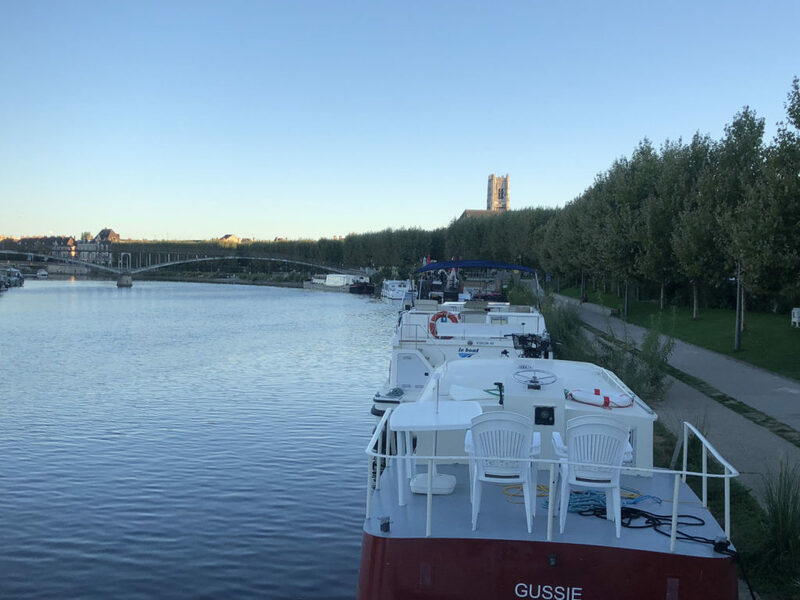 Consider chartering your own boat to tour the rivers and canals of the Burgundy Valley for unique adventure.